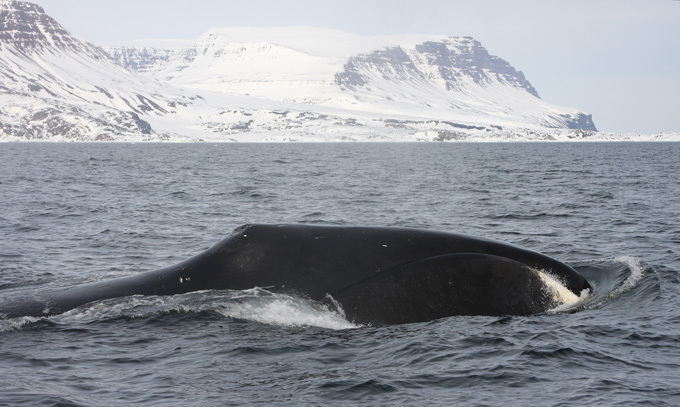 Dramatic changes have occurred in polar ecosystems over the last several decades. 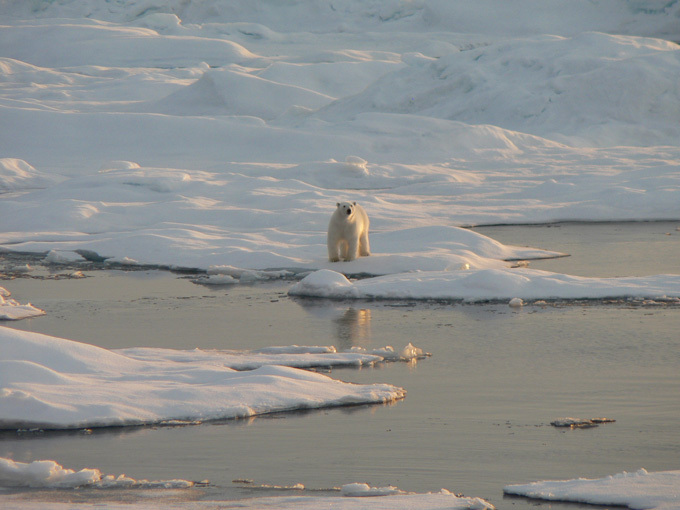 These changes have had a profound impact on the organisms that inhabit the Arctic, ranging from sea ice algae to marine mammals, whose feeding habits are closely linked to the presence of the sea ice. Biology also affects the fundamental physical properties of the ocean. 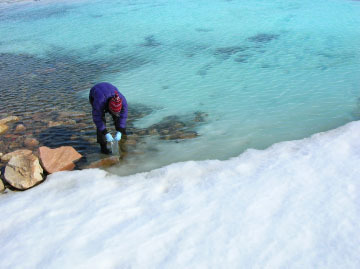 The presence of algae, for example, affects how much and where sunlight and heat is absorbed in the Arctic Ocean during summer. The distribution of algae in sea ice also affects how sunlight is reflected, absorbed and transmitted by the ice cover. 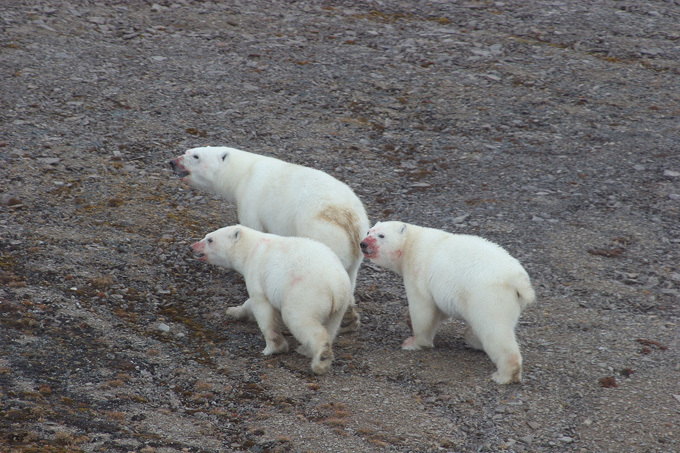 PSC researchers conduct Arctic biological research, ranging from studies that aim to understand how microscopic life exists at low temperatures to studies that aim to understand the migration patterns and feeding habits of polar bears and whales. We are also developing computer models to track and predict future changes in Arctic ecosystems. 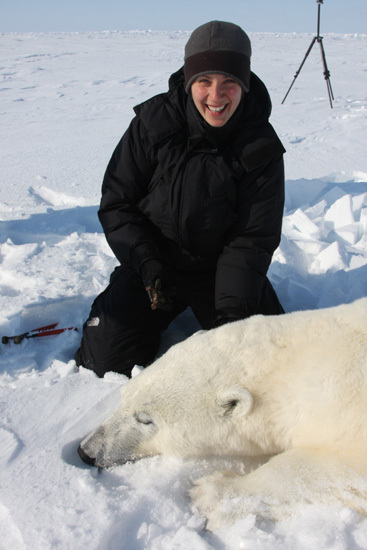 Polar Science Center investigator Kristin Laidre was recently featured in an online article on the Pacific Science Center’s website. 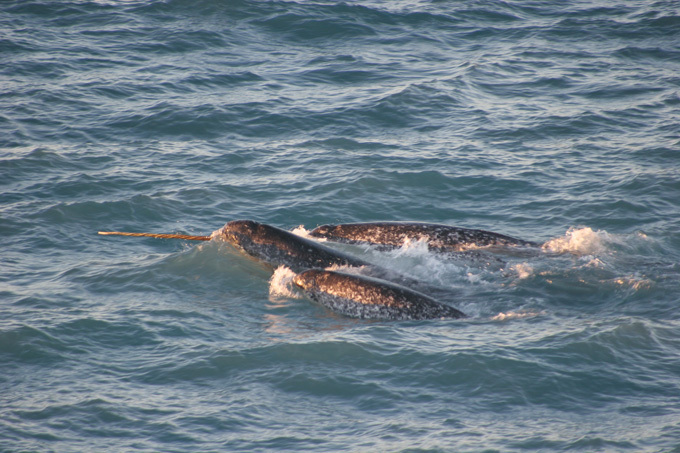 This article about her work with narwhals was based on her recent “Science Cafe” presentation in Kirkland. 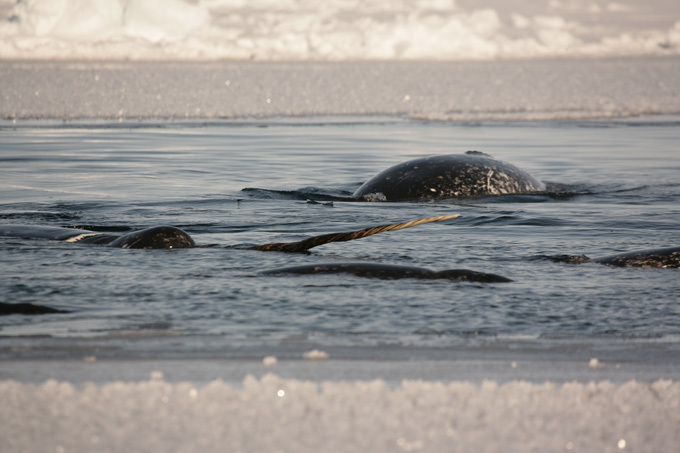 The whole presentation entitled “Uncovering the Mysteries of the Narwhal” is on-line here. 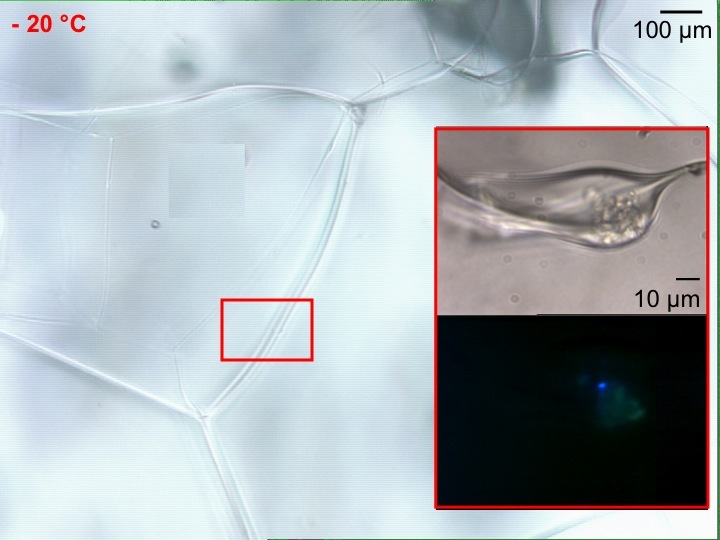 This project will explore the relationship between deep-freeze bacterial activity, proteomics, polymers and the physical state of the ice and will provide important keys to questions regarding life under extreme conditions, be it in the various ice formations here on Earth, the atmosphere or elsewhere in the universe.